Iris knows how to relax! Riddick is a medium sized alpaca with great presence and conformational soundness. 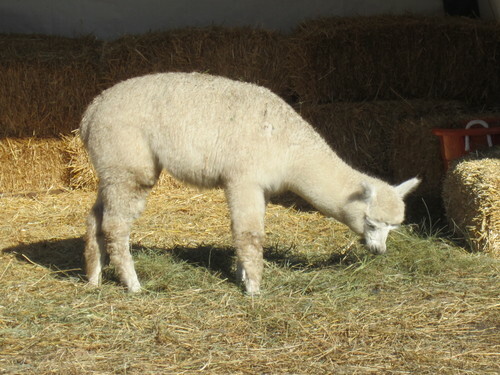 He has great staple length and his fleece has a rich deep luster. His fleece has tight bundles of medium to high frequency crimp with nice amplitude for that very defined look. 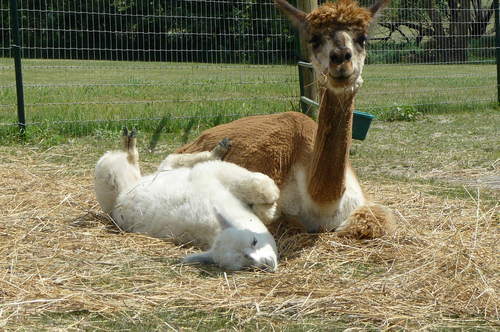 Iris is the clown among the females on the farm and usually the first to start the evening pronking; funny thing about her though, all of the other pacas pronk and she runs flat out. Everything she does makes you think she is just happy to be alive! 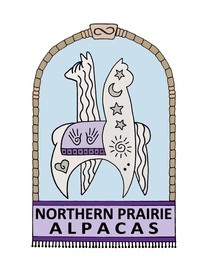 This girl is not afraid of anything and is the first to check out new people, always paving the way for the more timid alpacas in the herd. 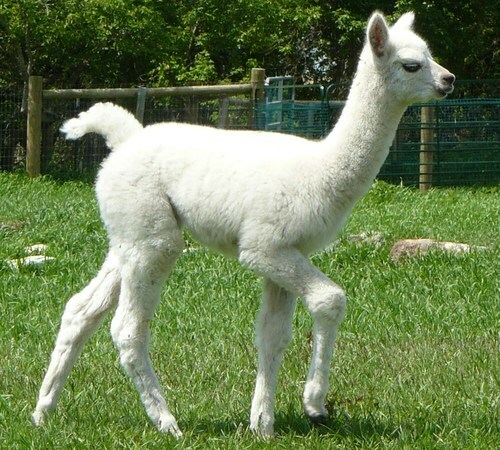 When she was born [the first cria for her dam] it was quite a shock that there was a beautiful white cria on the ground. While there is often the chance of any color white would have been the last that we suspected; this girl has lots of color in her background on both the dam and sire's sides. We really love this girl and hesitate to let her go for many reasons; we have finally decided that we will not be adding her to our breeding program since we have other females that have higher potential to advance our herd quality. We would prefer to sell Iris in a package with at least one other herdmate from our farm; we recommend her dam Rae-Lynn and/or Vivi as they all get along great. These three girls probably have the best personalities among our females; all three of them are friendly and fun.